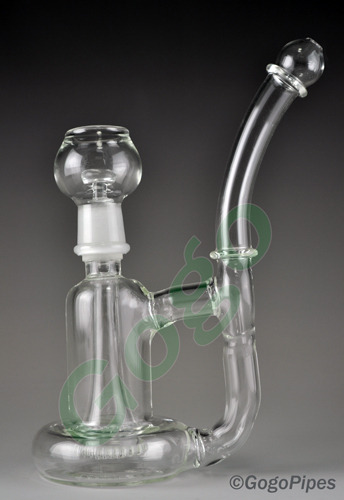 New concentrate lopoka glass Bubbler Rig is almost 8 inches tall. The honeycomb tower standing in the middle to give extra smoothness for each draw. A well made 3 inch base is tall enough to hold the regular amount of water that helps in filtration. 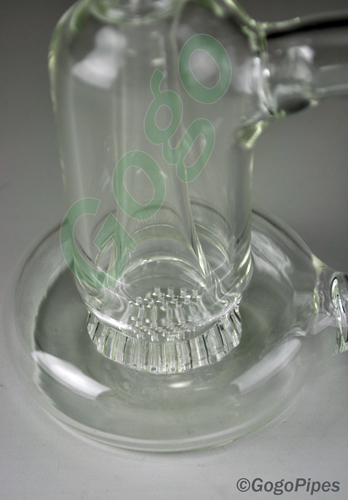 This concentrate bubbler Rig is specially made for vapor needs but buying the inverted bowl can be used for leaf Limited time offer at secure online store. More details about this product are given below. Pros: This is a very nice honeycomb recycler, i recommend buying a 18mm female bowl as well unless you only plan to use oil. Cons: Glass is not as thick as I would like but I haven't had a problem yet. I would prefer a titanium nail. Comments: Can't go wrong for $40 no where in my 100 mile radius offers anything for half of the price.